Thousands of poor patients have again received free medical treatment in Mangu and Bokkos, courtesy the member representing Mangu/Bokkos constituency in the Nigerian House of Representatives, Hon. Solomon Maren. The initiative designed to address the health needs of the constituents for enhanced productivity was organized as part of his constituency interventions, Maren told newsmen. 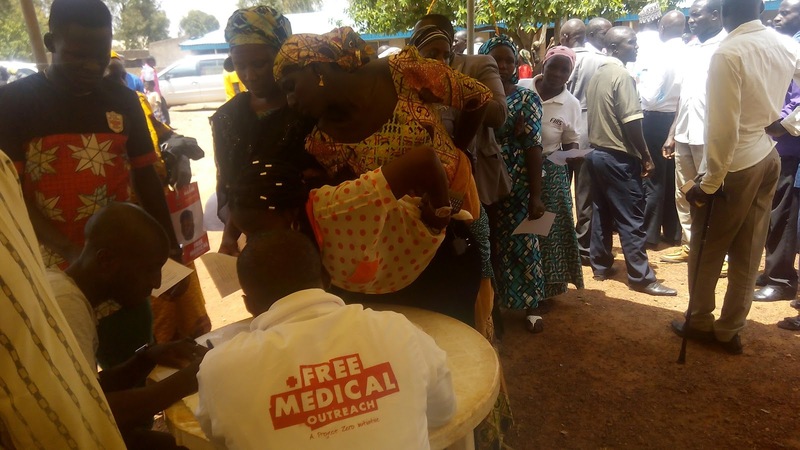 Flagging off the exercise in Mangu and Bokkos, the lawmaker said given the value of healthcare to wealth generation, giving such to those in need would generally impact the socioeconomic life of the society. He disclosed that so far, he has sponsored eight bills, moved 20 motions, filed three petitions and contributed on over 100 bills on the floor of the National Assembly. Maren listed several other interventions he has made in the area of road constructions, water supply, rural electrification and many others across the constituency. The idea as against past representative experiences in the constituency he said is to give the electorates value for their votes. "I cannot be comfortable when the people that queued up in the scorching heat of the sun or heavy rain to elect me cannot even point to one thing that they have benefitted from me," he said. The exercise which is the second organized by Hon. Maren since assumption of office in 2015 has so far witnessed a large turnout of poor patients from different parts of the constituency. Touched by what she saw after inspecting ongoing diagnoses and surgeries at Allah Na Kowa Hospital, Mangu and Lunar Hospital, Bokkos, venues of the event, Hon. Maren's wife, Mrs. Victoria Maren could not hide her emotions. "I want to thank you Honourable member for all these that you have done, for us as a family and for the entire people of Mangu/Bokkos constituency," she said as she narrated how caring he has been. Also on the entourage of the rep member was the Chairman of Plateau State PDP Chapter, Hon. Damishi Sango represented by his deputy, Amos Gombi who also took time to eulogise the rep member for his "unprecedented representation." Also present were Plateau Central Zone PDP Chairman, Hon. Benedict Shinugul, elders Dr. LT Fomson, Lita Shindai and party stalwart, Alhaji Sani Golden. There were also Hon. John T. Akans the Plateau State PDP Publicity Secretary, Hon. Micheal Abi the Chairman of Bokkos PDP, Hon. Mahli Maton and a host of other stakeholders across the two Local Government Areas. The programme is expected to continue today at the two LGAs. At least three thousand patients are expected to be reached during before the end of the programme. Last year's event witnessed about 4000 diagnoses and over 100, 000 surgeries including caesarian sections.